Helps restore the normal physiological functions of the digestive tract. Significantly decreases flatulence and improves appetite. Infants up to 1 month: 5 to 10 drops (0.17 to 0.34 ml) three times daily. 1 month to 6 months: 10 to 20 drops (0.34 to 0.68 ml) three times daily. Infants up to 1 month: Half teaspoon (2.5 ml) three times daily. 1 month to 6 months: 1 teaspoonful (5 ml) three times daily. 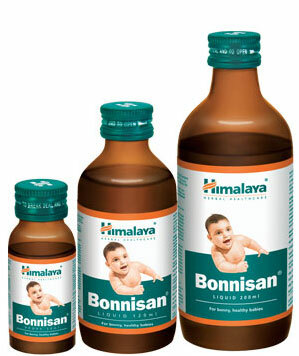 6 months to 3 years: 2 teaspoonfuls (10 ml) three times daily. Drops: Pilfer-proof bottle of 30 ml. Liquid: Pilfer-proof bottles of 100 ml and 200 ml.